Mobile devices such as phones and tablets are quickly becoming standard tools in the enterprise. Falling hardware costs and the arrival of 5G will make these devices even more valuable. For IT managers, the question will be the following: How do you manage those devices to maximize efficiency with minimal risk? The answer lies in setting up a mobile device management (MDM) program. For a program to work, you need the right tools, such as an MDM software platform and the right staffing levels. For the moment, let’s assume that your staff is knowledgeable and able to see the gaps. You simply need to acquire an effective MDM software solution. To get that software business case approved, you need to be savvy on explaining the benefits. Most IT departments are drowning in service requests and project ideas. Then, you face the challenge of coming up with innovative ideas. To make all that happen, you need capacity and time to think. Mobile device management software helps because it reduces IT administration. Instead of manually configuring and testing each new mobile device, MDM software takes care of the repetitive tasks for you. That gives IT staff more time to work on challenging projects that improve productivity. Aside from die-hard technology fans who line up to buy new mobile devices, getting new technology isn't fun for most end users. This is a harsh truth for IT professionals to accept. Most business end users simply want to get on with their work. 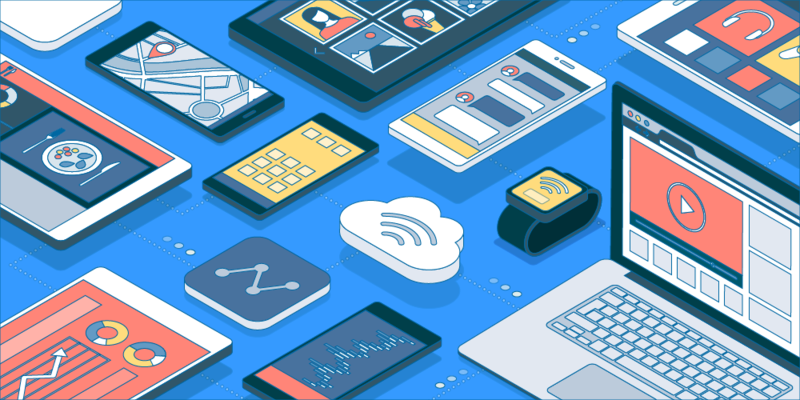 Mobile device management helps end users become more productive because the process of requesting new mobile devices can be cut down from days to hours. Once end users have the device in their hands, MDM helps them get set up on their corporate network much faster. That means less time waiting to get access to email, internal websites, and calendars. Add it all up; it means significant time savings for the business. That’s an important win for IT! Resource: To achieve further productivity gains, look into implementing digital forms to gather and process information. Even better, Device Magic’s enterprise form solution directly integrates into Slack, Evernote, and databases, so data moves into workflows efficiently. Mobile devices, especially if your organization allows “Bring Your Own Device” (BYOD), create increased risk exposures. Typically, IT managers respond to these risks in one of two ways, neither of which help. First, you may say “no” to mobile device requests. That’s a fast way to become unpopular. Second, you may take a manual approach to review and oversee each device. Mobile device management software is the better way to reduce IT risk. For example, you can enforce your cybersecurity requirements systematically instead of relying upon users to manage updates manually. Further, you can track mobile device usage with employee status. That’s valuable because you can track down devices from former employees. That means improved data loss prevention for the company, and fewer (or no!) angry phone calls from executives about lost confidential data, or worse, missing devices that have walked away. Top-of-the-line iPhones cost over $1,000, and high-quality Android phones are far from cheap. Those costs add up quickly once you're buying hundreds or thousands of devices, and that’s not all. You also have to think about the software licenses, as well as the accessories employees need to be productive. Finally, you have the service charges from the telecom provider. Managing all these mobile device costs can be challenging. As an IT leader, you need to show finance and other executives that you're managing corporate resources effectively. Failure to show financial discipline will make you look unprofessional. There's a way to address all this. With mobile device management software in place, you can cut costs. For example, you can limit the number of device purchases, because MDM helps to identify unused or missing devices (e.g., older devices in cabinets) that employees may have forgotten. If your enterprise added a thousand employees this quarter through hiring, acquisition, or other changes, could IT handle the challenge? If you’re honest, you can probably imagine going through plenty of struggles and missing SLAs. That kind of disappointment and missed service expectations make end users respect IT less. By using MDM thoroughly, you'll enable enterprise growth. You'll have the systems and processes to manage 100 users or 10,000 users. That means IT will be perceived as enabling growth not standing in the way. JAMF: A leading MDM software focusing on management of Apple devices. Mosyle: Cost-effective MDM solution streamlining deployment and management, exclusively for the Apple ecosystem. AirWatch: Offered by VMware, this solution has the ability to cover Android devices, Internet of Things (IoT), and beyond. Beyond device management, AirWatch can also manage applications and content on devices. SOTI: SOTI offers several MDM options to improve productivity. For example, SOTI Assist is a mobile-friendly help desk where users can help with mobile device problems. Now that you know about the benefits of mobile device management, take action to tighten your processes. Your end users will thank you.